A great gift idea for birthdays or Christmas and a style that will work for day through to night. The silver or gold foil in the centre of the glass will gently shimmer as it catches the light. 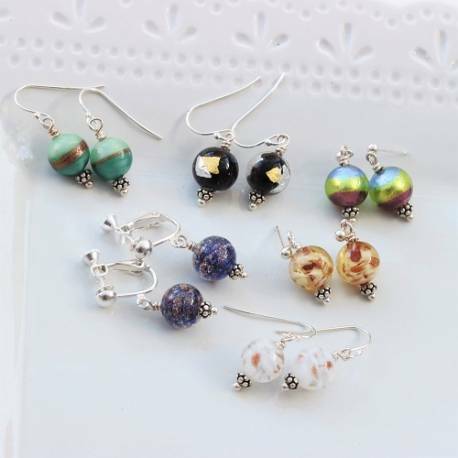 The earrings are available on studs or fish hooks, all of which are sterling silver. 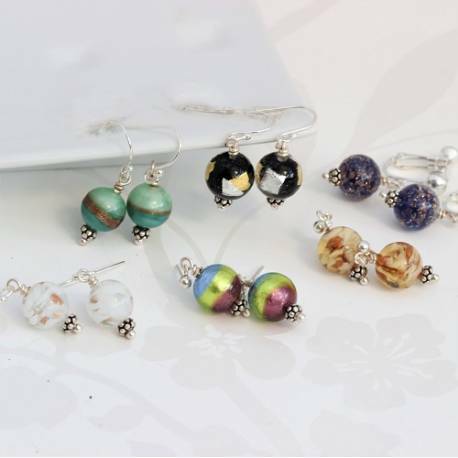 They also can be put on silver plated clip on earrings. They are lever back but have an adjustable screwback as well so you can get the perfect fit. Your earrings will be beautifully gift wrapped in a matt black box, tied with ivory satin ribbon and a gift card enclosed. This standard service is completely free of charge. We offer a luxury gift wrap service. Orders can be wrapped in luxury black and gold paper and finished with a black satin bow and gift card, or silver paper finished with lilac satin ribbon and silver gift card. 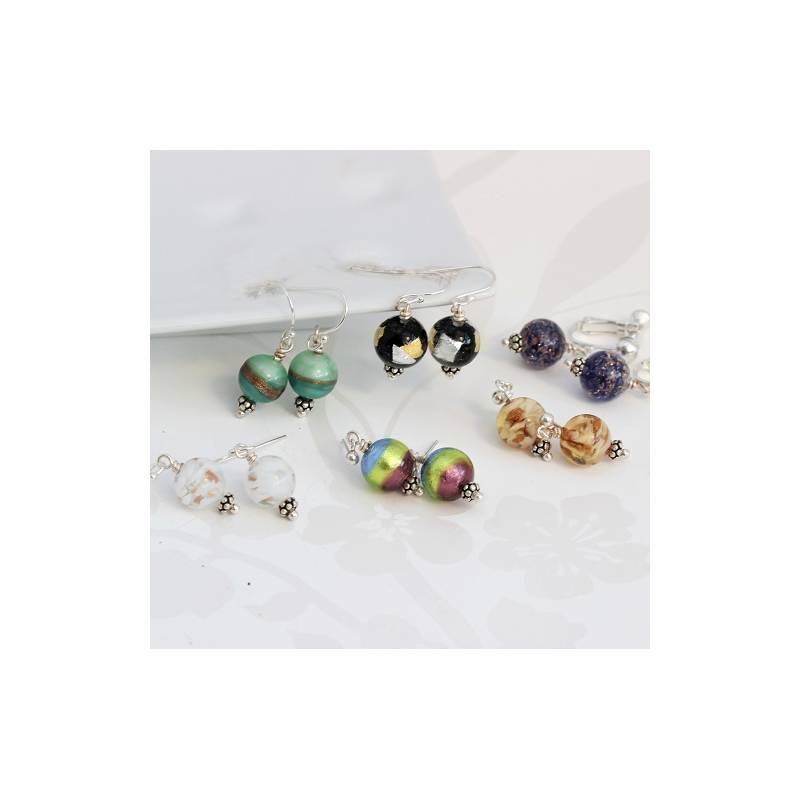 Sterling silver and Murano glass. The clip on earring is silver plate.